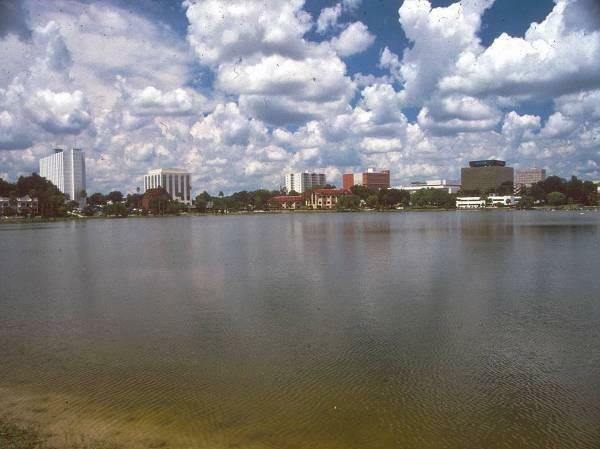 Lake Morton is a 40.8-acre urban lake located in the central downtown area of the City of Lakeland. The narrow park which surrounds the perimeter of Lake Morton is heavily used for passive recreational activities. Since the late 1980s, Lake Morton has existed in either a eutrophic or hypereutrophic condition, with poor water clarity and constant algal blooms. During April 2001-December 2002, ERD performed work efforts to develop hydrologic and nutrient budgets for Lake Morton and provide recommendations for water quality management. A hydrologic budget for Lake Morton was developed based upon inputs from direct precipitation, stormwater runoff, and groundwater seepage. Ten groundwater seepage meters were installed in Lake Morton and monitored by ERD over a period of 6 months. A nutrient budget was developed for Lake Morton which includes inputs from bulk precipitation, stormwater runoff, groundwater seepage, waterfowl, and internal recycling. Estimates of inputs from stormwater runoff were generated based upon hydrologic modeling performed by ERD and the results of a stormwater monitoring program conducted by the City of Lakeland. 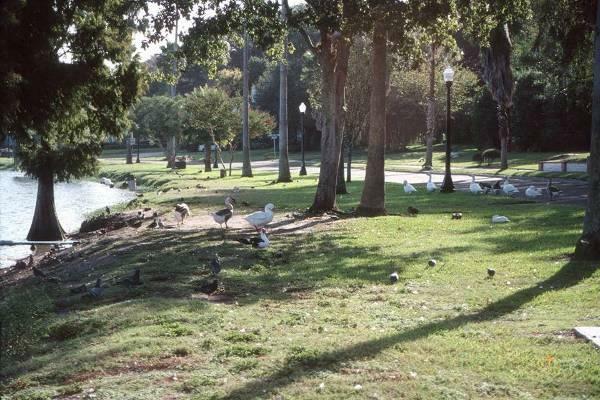 Pollutant inputs from waterfowl were estimated based upon bird counts performed by the City and analysis of bird feed used by the Parks Department. Estimates of nutrient inputs from internal recycling were based upon sediment evaluations performed by ERD. Water quality management options were evaluated for improvement of water quality in Lake Morton. The evaluated options included additional stormwater treatment within the basin, as well as an in-lake treatment system involving the addition of liquid alum into the lake on a continuous basis. Impacts of reducing current waterfowl populations were also evaluated. Recommendations concerning the optimum water quality improvements were provided to the City of Lakeland.